Stylish, soft, moody and modern, grey is without-a-doubt THE colour of the moment. 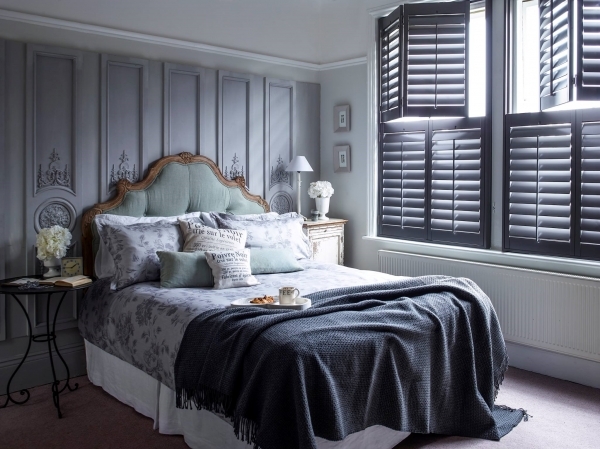 The perfect way to inject a little subtle sophistication and style into the home is through the clever use of grey. Picking the right shade for your room will cosy it up for the Winter months as well as give a modern feel. Before you choose your colour to be aware of how much light comes into the room, for example, a room with plentiful light can take a deeper shade whereas a room with minimal natural light would be better painted in a lighter tone, done right you can even create the illusion more space.A great idea to add further charm to a room is to pick two tones shades apart, lighter for the walls and darker for the borders. If you would prefer to make less of a statement Farrow and Ball have a wonderful neutral collection named “Architectural Neutrals” for a much more gentle and minimal effect. Create a statement using the on trend fisherman pendant lights. Use a longer cable so they can hang low over the table whilst your family gather round and create an intimate setting. For a larger, modern kitchen line these pendants up in a row over the kitchen island to highlight and make a feature of the cooking area, especially if this is an area you love to spend time in.